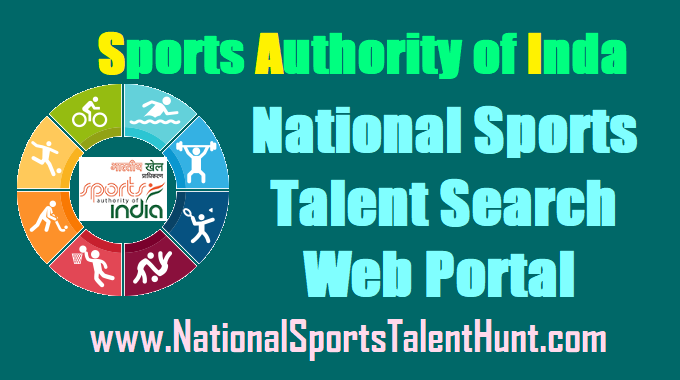 : NationalSportsTalentHunt Sports Authority of India (SAI) selects talent from all parts of India and develops them into competitive athletes.Our trained athletes participate in national and international level events. Any eligible youth can apply to the SAI schemes, who will be called for selection trials. The admission to the schemes will be subject to fulfilment of the eligibility criteria and battery of test as well as skill tests. Vice-President Venkaiah Naidu launched the national sports portal on Monday. The website, www.nationalsportstalenthunt.com, will be useful for children and boys to make the sports ministry and senior sports officers aware of their talents. Anyone over eight years old can register their name on the website and upload their biodata or videos. His parents or teachers can do this work on his behalf. The Sports Ministry will select the talents and send them to training at the Sports Authority of India (SAI). At the start of the portal, Vice-President Venkaiah Naidu said, "India is a strong sporting country and it is necessary to provide sports infrastructure in all states and to have a talent for the young. First you have to register yourself by entering the basic details in registration page. Once registration is over, you can login and apply for any scheme after updating your profile. SAI runs training centres across the country. The Centres are where the actual training happens. The facilities (hostel, gyms, pools etc) vary from centre to centre. Also not all disciplines are offered by all centres and not all schemes are offered by each centre. At present SAI has coaches and training facilities covering various sports disciplines. The disciplines offered vary from Centre to Centre based on coaches and Facilities the centre has. The Vice President of India, Shri M. Venkaiah Naidu has said that Sport empowers individuals, transform communities and inspire populations for positive change. The Vice President said that sports play an important role in improving physical and mental health, and fostering active citizenship and social inclusion. It also inculcates leadership skills, team spirit and enables a person to develop a sense of equanimity during a win or a loss. There is evidence that sport and play enhance child development, learning and encourage better academic performance. The Vice President said that we need to create good infrastructure for sports in all states and nurture sporting talent from an early age. Across the length and breadth of the country we need more training academies and coaching centres to turn our young men and women into sports stars and role models for succeeding generations. The platform of National Sports Talent Search Portal will be a game changer and enable the Ministry of Youth Affairs and Sports and Sports Authority of India select the best. This platform will be fast, transparent and provide a mechanism for fair selection. Only meritorious and talented young sportspersons will be selected. The portal is also available as a Mobile App, which can be downloaded on the smartphones. It gives me lot of satisfaction to know that the talent search portal and App have been developed by IRIS, a highly reputed software and data analytics company, under corporate social responsibility (CSR) support. Sport empowers individuals, transform communities and inspire populations for positive change. It has become a tool of transformation, weaning villagers away from addiction, breaking caste barriers within the community, bringing women out of the home and empowering them, and reviving spirit and pride in individuals and the village as a whole. The games foster friendships, unity and a healthy vibrant community. This simple but powerfully uplifting intervention renews the joy and spirit of community kinship. For women, the blossoming of their self-confidence and spirit of initiative in this space is the bedrock for societal change tomorrow. Sport plays an important role in improving physical and mental health, and fostering active citizenship and social inclusion. It also inculcates leadership skills, team spirit and enables a person to develop a sense of equanimity during a win or a loss. Sports should be an integral part of our everyday life. Some people think that sports is important only for physical well-being, Spsports is important for overall development of an individual. We are a large and diverse nation. Sports can be a great means of national integration. From sports, we learn sportsman spirit and that acts as a lubricant in our social life. More than winning, sports helps you learn to deal with defeats. Sports helps you become a fighter. Healthy people make a healthy nation. If everybody is active and healthy, they can lead a happy life besides being more productive economically. The importance of health in our country is acknowledged over the ages through the saying ‘Aarogyame Maha Bhagyam’ which translates to ‘Health is Wealth’. That being the case, things are different today. Our country is fast emerging as the ‘diabetic capital’ of the world. It is because of modern life styles, food habits and declining physical activity. This is a serious socio-economic challenge for our country. Our country has always been rich in culture and tradition, and games have been an important part of Indian culture from times in memorial. Gradually the time changed and so did our sports. We need to create good infrastructure for sports in all states and nurture sporting talent from an early age. Across the length and breadth of the country we need more training academies and coaching centres to turn our young men and women into sports stars and role models for succeeding generations. It is my dream, a dream I share with millions of my countrymen, to see India emerge as a major sporting nation in the world. India stands poised on the curve of a major leap in all fields and I am certain that this is true of sports as well, of a time when India will figure prominently in the list of medal-winning nations in Olympics and other sports competitions. According to the Vice President of India, Shri M. Venkaiah Naidu. There are several schemes that SAI offers. Schemes are based on age group, and discipline. The financial assistance also varies from scheme to scheme. You to read the scheme before applying.